All Squared Up Tee's Templates Now Available With A Center Hole To Make Marking The Center Of Your Blocks And Embroideries Even Easier. 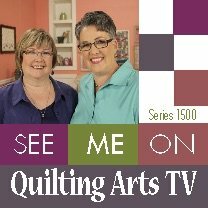 The Quilting Company has released five on-line workshops covering various memory quilting techniques, taught by Trish. Preview and signup for any of these classes HERE. 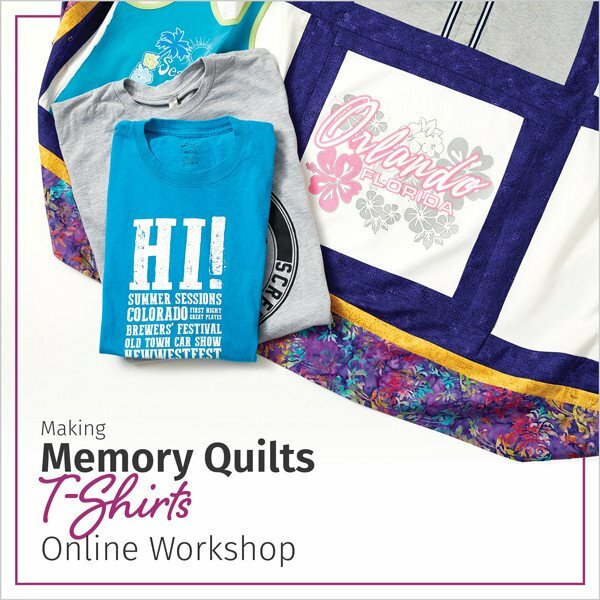 ties, t-shirts, photos and more"
Memory Quilts are the perfect way to take items that are sitting in your closets, drawers and in boxes under the bed and in the attic and make them into something tangible. It is so much nicer to snuggle under something that brings back memories of special people and times in our lives then to store, throw out or give away items we could use to make wonderful memories come alive again. This book helps you do just that with easy, flexible patterns and great step by step instructions. 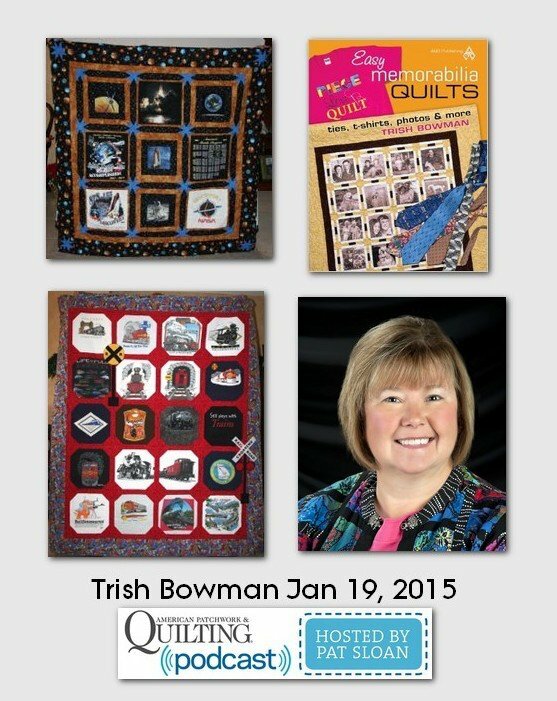 It is the perfect addition to your quilting library and will help you begin the process of wrapping yourself and your family in wonderful warm memories. We periodically put items in our on-line store on sale. Check these out HERE! I am so glad you stopped by. I hope you will find everything you need to make your memory quilts a reality on this web site. Check out my newsletter. I will be giving you tips on how to make your memory quilts from gathering the items together to the finishing of the quilt. There is also a store where you will find many items that will make the process easier for you. Please enjoy browsing around and come back often to see what else has been added. You Can Follow Trish on Her Blog HERE. Check your local PBS station listing for broadcast dates and times. Happy Memories Quilts has a regular newsletter with tips, ideas, and techniques. Sign up below and receive a free quilt block pattern as a thank you! After clicking the button above check your email for a confirmation message. If you do not get a confirmation message please email us directly.